Right from its string of red beads that's accustomed support the gold plated brass metal pendant embellished with impressive design and gold beaded hangings, each side of this jewelry set eludes grace and class. 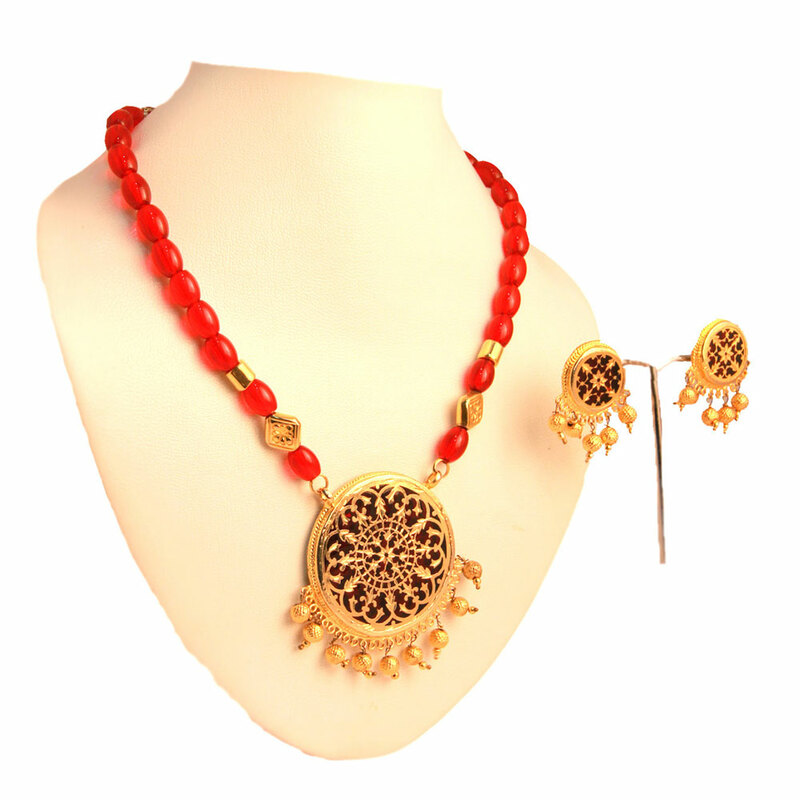 Right from its string of red beads that is used to support the gold plated brass metal pendant decorated with magnificent artwork and gold beaded Read More..hangings, every aspect of this thewa necklace set eludes grace and sophistication. 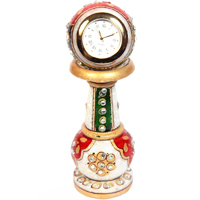 The matching earrings are designed almost exactly like the large circular necklace pendant. Show Less.. 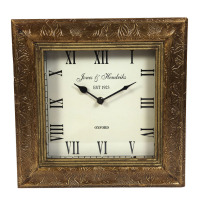 The square frame among that the clock is confined is adorned with astounding self carving that creating the clock distinctive. 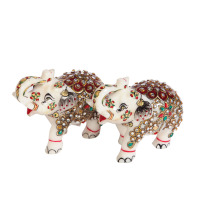 he extensive beadwork over the entire body of these creatures carved from pure white marble adds to the elegance of the piece.